It was a special Shabbos in Houston. 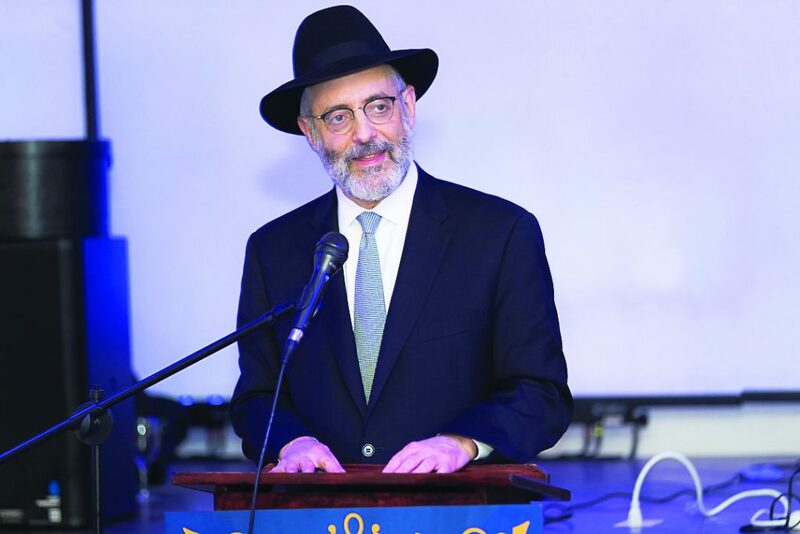 The fast-growing frum community gathered to celebrate the second siyum haShas of the local Daf Yomi Chaburah with a multifaceted program that extended from Erev Shabbos through late Motzoei Shabbos. 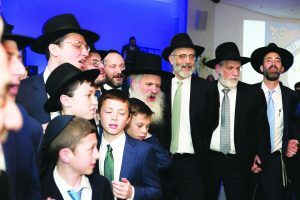 Distinguished guests from around the country included Harav Dovid Schustal, shlita, Rosh Yeshivah of Beth Medrash Govoha; Harav Sheftel Neuberger, Menahel of Yeshivas Ner Yisroel; Rabbi Chaim Dovid Zwiebel, executive vice president of Agudath Israel of America, and Rabbi Dovid Nojowitz, executive director of Torah Umesorah. 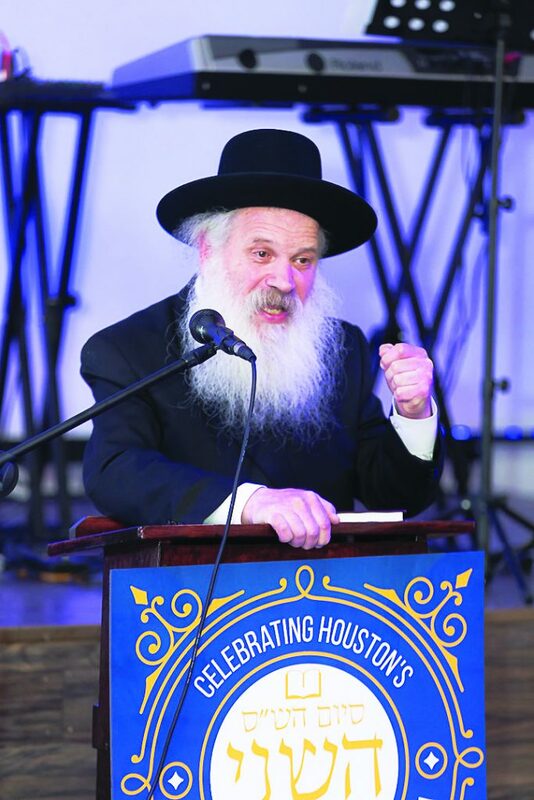 The influx of these vaunted American Torah leaders highlights Houston’s status as one of the fastest-growing Torah communities in the nation. And the Siyum Daf Yomi symbolizes the incredible growth of the Houston Torah infrastructure, which has raised the caliber of the community and serves as a magnet for dozens of young frum families who move there each year. On various occasions over the weekend, Rav Schustal referred to Harav Chaim Volozhiner, zt”l’s, prediction that America is the “letzta stanzia” (last station) for Torah in Galus prior to the arrival of Moshiach. The Rosh Yeshivah was so impressed by the Torah learning and hashkafah of local community members that he quipped that perhaps that last stanzia was Houston! It was 2002 when Rabbi Yaakov Nagel, an upbeat and charismatic talmid chacham, then a member of the TORCH kiruv kollel, started a Daf Yomi Chaburah, with an hourlong shiur delivered daily at 7:00 a.m. A group of local baalei batim joined, and have diligently participated for two cycles and counting. In 2010, the Lakewood affiliated Kollel of Houston opened its doors, bringing yet another group of bnei Torah to the community. Several kollel members and alumni are active in chinuch, kashrus, chinuch, kiruv and other avodas hakodesh. The student body at the local elementary school, Yeshiva Torat Emes, is growing exponentially. There is also a Bais Yaakov-style high school in Houston, and it is anticipated that a mesivta will open in the near future. The kollel is in the process of expanding to 10 full-time yungeleit, as well as building a state-of-the-art campus together with the Young Israel of Houston. Rabbi Yehoshua Wender, an esteemed talmid chacham and Chofetz Chaim alumnus, is the community’s Mara d’Asra. Rabbi Naftali Buchwald, a kollel member originally from Lakewood, serves as Assistant Rav. In addition, Houston features a full array of kosher food establishments and a booming economy, replete with job and business opportunities. Rabbi Wender spoke in shul on Friday evening. “This Shabbos is not only a celebration of Daf Yomi, but of all the Torah learning and growth that goes on in Houston,” he exclaimed. A lively oneg Shabbos was hosted on Friday evening by Mr. and Mrs. Ari and Sami Winkler, which was addressed by Rav Schustal and Rabbi Sroy Levitansky, national director for community development at Beth Medrash Govoha. Rav Schustal also delivered a shiur in shul following the “middle” 8:00 Shacharis minyan on Shabbos. Rav Neuberger spoke following the 9:00 minyan, expressing how impressed he was at the community’s advancement. A special seudas Shabbos was held for the Daf Yomi mesaymim, who spoke with emotion about the shiur’s impact on their lives, and was graced by the distinguished guests. Rabbi Zwiebel spoke in shul before Minchah, sharing vignettes about Agudath Israel’s history and current askanus. Rabbi Nojowitz addressed a packed seudah shelishis, where he reminisced about Torah Umesorah’s longtime involvement in Houston chinuch. The highlight of the weekend was the siyum haShas melaveh malkah, a gala event catered by the renowned Genesis Steakhouse of Houston. 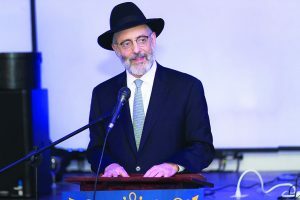 The melaveh malkah was addressed by Dr. Munk; Rabbi Shlomo Littman, Rosh Kollel; Rav Schustal; Rabbi Zwiebel; Rabbi Aryeh Wolbe of TORCH; Reb David Schwartz, a mesayem; Rabbi Wender and Rabbi Nagel. Live music and spontaneous eruptions of dancing added to the spirit of the evening.